Just browsing and found this ebay listing for a Billybob. Read description and look at the last photos. Anyone seen this alternative fix? I noticed that JBastida in Spain used this alternative spring on his bike in 2012. It looks like a good idea. These mods look better than the replacement spring . I would go this route if mine ever fails . I got the sturdier spring and put it in my luggage so it will never fail . It would certainly be easy enough to do. I love it when I can see a good picture.. So I asked where he found it. He answered "Japan, 2 years ago" at a place called "Cow Space - you can find it on the net" I tried - I could not. Something must have been lost in translation. Good photo though. Shouldn't be too hard to duplicate. My Japanese is weak, so I opened the website in Google Chrome and it translated it for me. cowSpace, wish I could read that text.. interesting. Right? First two photos: original orange-faced LeMans . . . The website was last updated in 2010. I emailed them... would not go thru. Must be defunct. Nice pictures there, nonetheless. The KR I acquired in Italy last year sports a solution quite similar to the one shown in the picture above. Italian style, though, but still functionable Anyway, I never heard of spring braking inside a KR gearbox, no tales, no stories. Here is another view of the "Japanese" design. Mine is very much the same. another Japanese design photo. 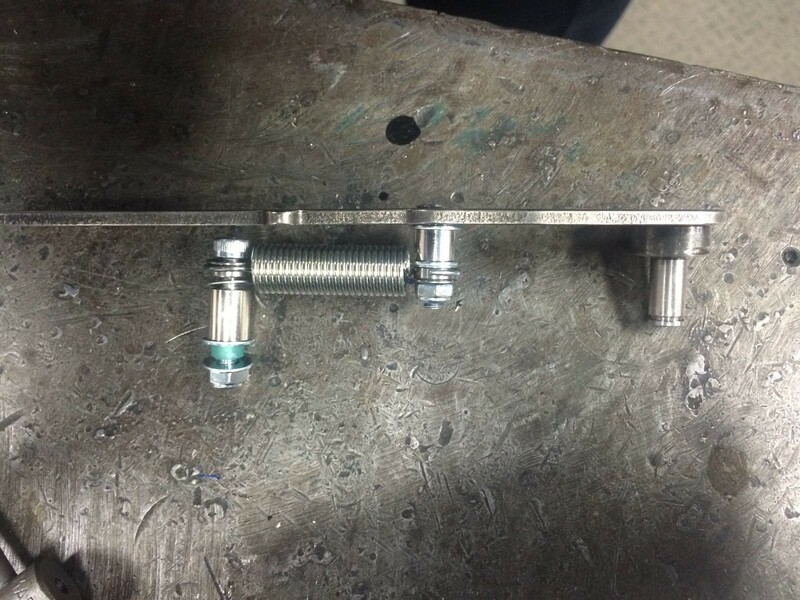 You can see that besides a simple assembly, they drilled out the spring catch on the pawl arm and used the hole for the bolt. (right end of spring) Just above that you can see they milled away a bit (my guess 1/8") of the casting ridge, so the bolt end does not hit it. On the left end of the spring, they drilled a hole (shudder!) through the cover plate, to anchor that end. I hate the idea of this hole but alternatives are few and not as strong imo. I'll document my progress. Suggestions welcome. Question: What does this fix and does a 2001 need it? 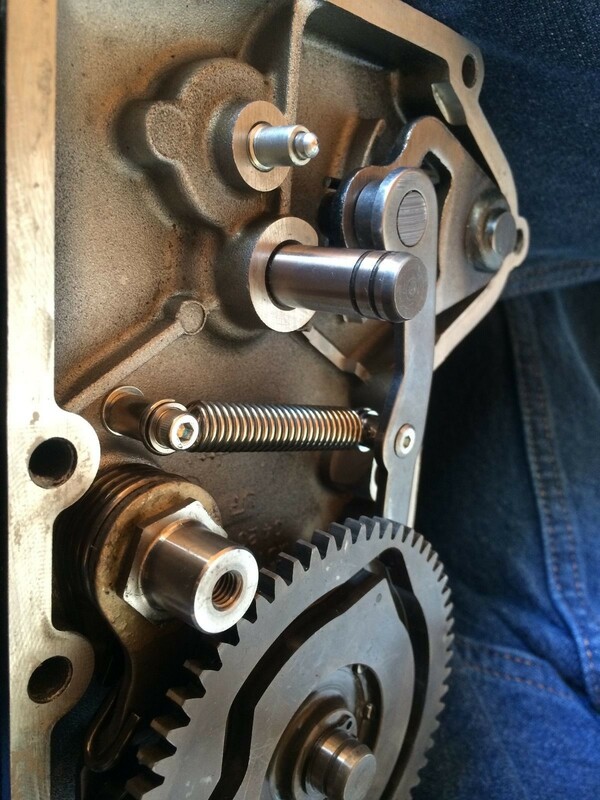 Replaces the nefarious "pawl spring" in the shift mechanism. You'll only need it if yours breaks and you don't trust the direct replacement.